So, starting a blog seems like a good thing to do. Something to occupy my time over the next few months, somewhere to put my thoughts. It may never be seen by anyone apart from myself, it may just be my online diary, but it can’t hurt to try, can it? My name is Jess. I am 25. I am 37 weeks pregnant with my third child. I am married to a perfect man. Perfect in every way aside from one. He died 25 weeks and 2 days ago. A 25 year old, pregnant, Widow. 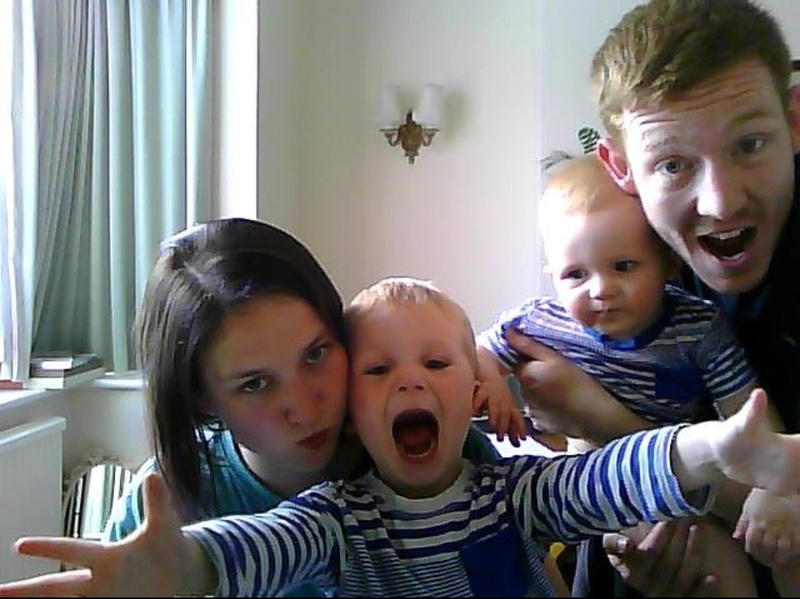 I will introduce the family, and not get down to the nitty gritty just yet. That can wait! I live in Lancashire, with my two wonderful little boys – Toby (4) and George (2). The baby who is currently managing to burrow into my pelvis and bend my ribs at the same time, is another boy! He is called ‘Button’ at the moment. I like rainbows and am fond of cheese on toast. I am in the process of having driving lessons, and have my test a week before Button is due. I consider myself a normal person, although my friends may disagree. My Husband is called Jason. That’s right, IS. He is still my Husband, still my children’s Daddy. Still perfectly wonderful and a massive part of our lives. He was 24 when he died. We had been married for 17 months and 22 days. He went to work the morning of 28th August 2014, and never came home. I spoke to him at 3.01pm. He was electrocuted at 4.31pm. He was pronounced dead at 5.21pm. I got a knock on the door at 9.01pm. Things haven’t been plain sailing, but, we are ok. We cope. We get on with things. We laugh. We cry. We are still a family. We have a new normal. I’ll be back soon to start at the very beginning, a very good place to start! (If you sang that, you can be my friend). I sang that! And now it’s in my head…. I’ve just read through all your posts. I started at the top and worked my way down. It’s just fucked up isn’t it? My heart goes out to you and if I lived closer I’d be volunteering to be your doula. But I’m in Scotland. Sending much love from someone you don’t even know. Join the Adventure on Facebook!